By now everyone is aware of the harmful effect that light from a smartphone screen can have on you. Simply put, it messes up your sleep cycle. Following the spread of this information there was a whole slew of new apps and features that are supposedly meant to curb the impact of this harsh light. Recently Twitter and YouTube introduced a night mode for people that want to use the app past their bedtime so to speak without having to worry about it impacting their overall sleep cycle. It seems like Facebook is getting in on this as well. The next update for the Messenger app is purportedly going to have a dark mode which is designed to make late night usage, or any usage in the dark for that matter, a lot easier on the eyes. This update will revamp the entire look of the app, giving it a much more pleasing, subtle aesthetic. Some people saw this new look for a few moments before it suddenly disappeared. Facebook is apparently testing it before they permanently roll it out for all of their users. 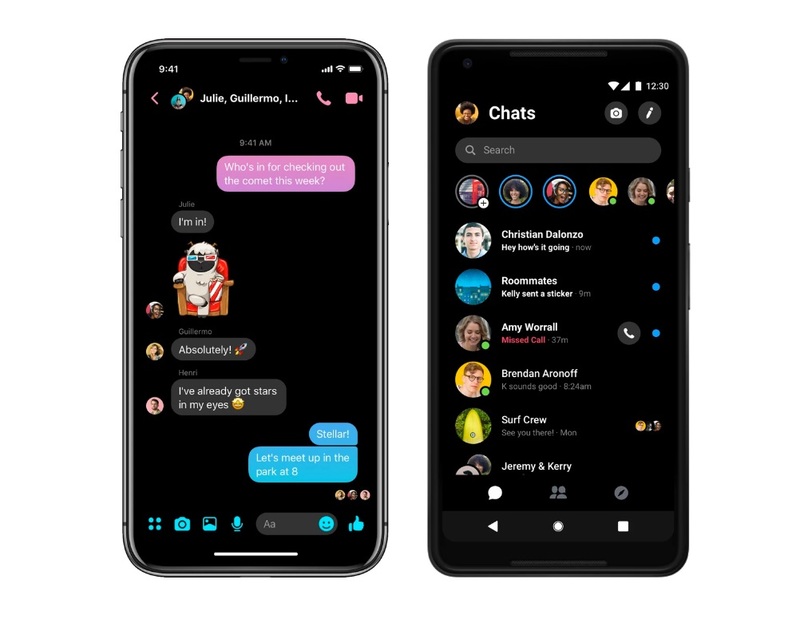 "We are planning to introduce Dark Mode after we've finished rolling out the new Messenger to everyone globally. Stay tuned! ", said Messenger team in a Twitter tweet. The dark mode is going to feature fewer colors, instead focusing on shades of black and grey. This is definitely going to strain your eyes a lot less, not to mention the world of good it will do to your sleep cycle. However, it’s fair to say that we are going to need a bit more than a dark mode in our apps to prevent our incessant phone usage from impacting our daily routine. Some self control is definitely necessary, so perhaps tech giants should start focusing on usage limitation even though that might go against their bottom line. Perhaps it would be more prudent for us to control our usage on our own.